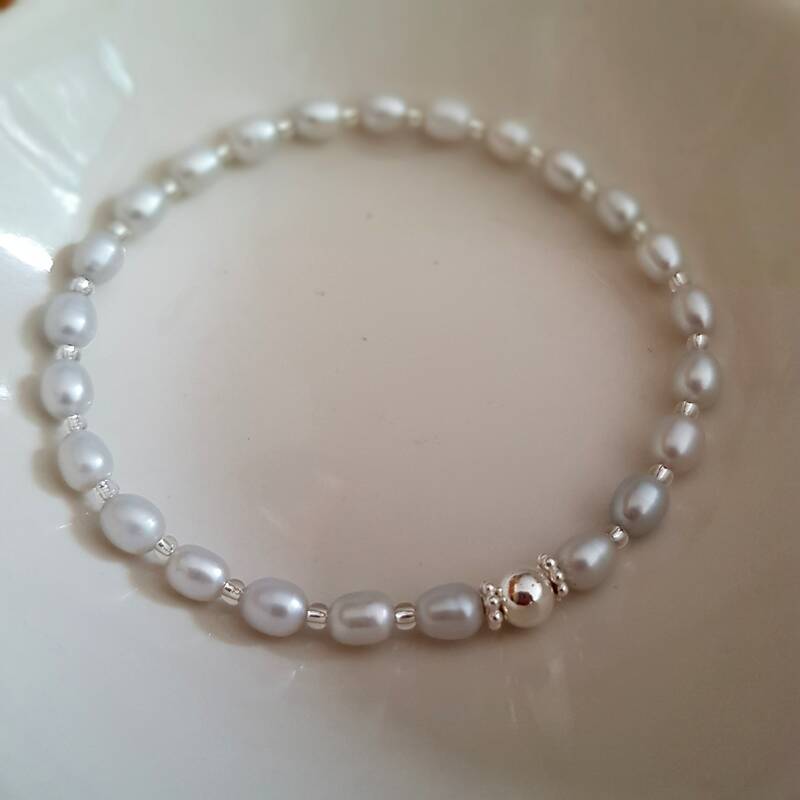 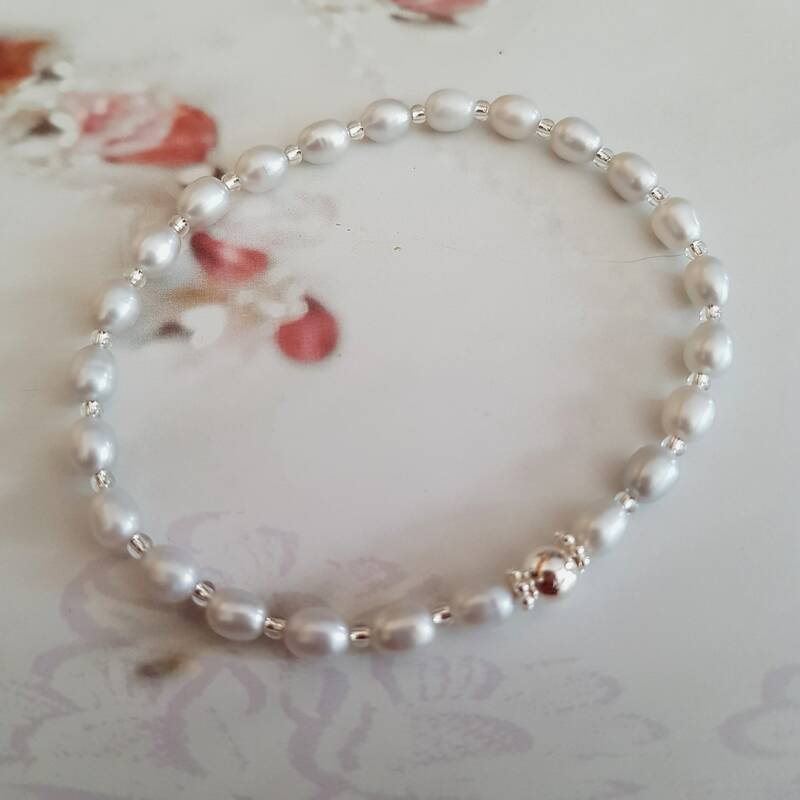 I named it "Silver Goddess"
Pretty handmade stretch bracelet with very light powder grey / silver Freshwater rice Pearls, separated with tiny silver lined seed beads and a 5mm Sterling Silver bead nested between two tiny Sterling Silver daisy spacers. 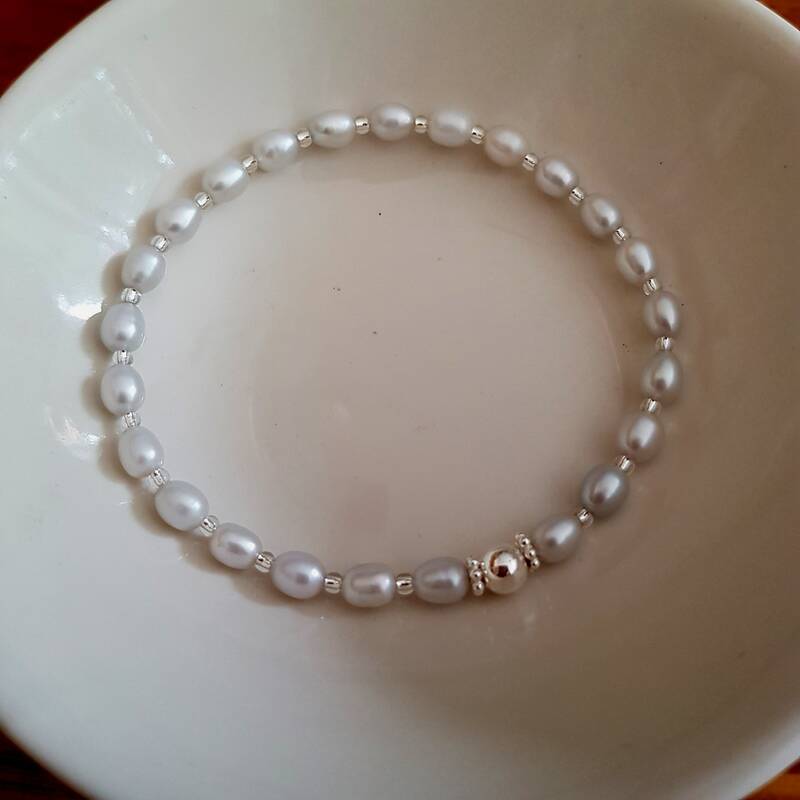 Size of pearls approx 5-6mm long /4mm wide. 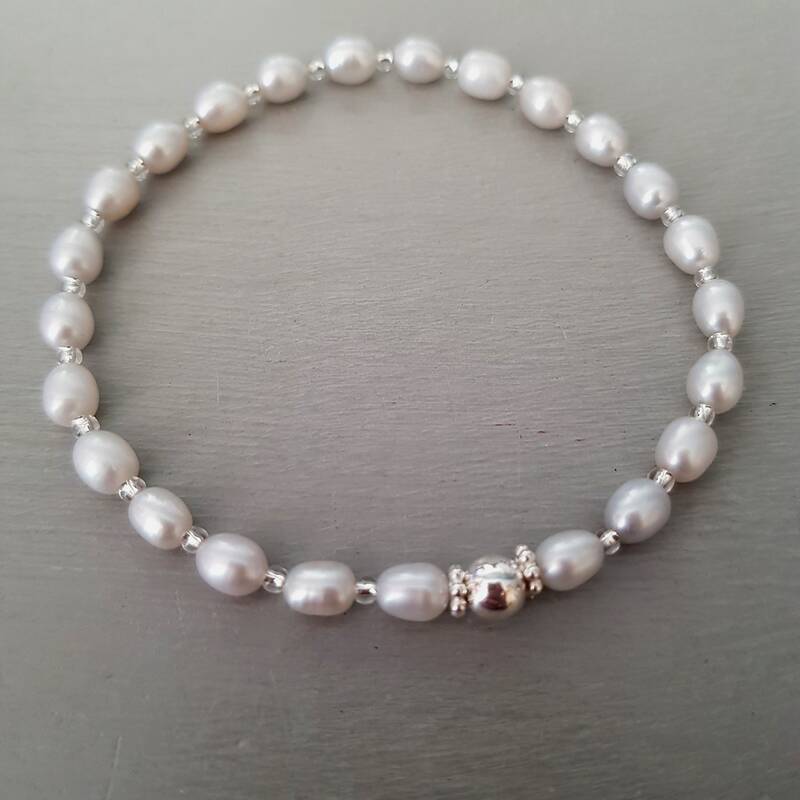 Standard length of bracelet 7" = 17.5cms un-stretched to fit average wrist size; but can be customised in your desired length above. 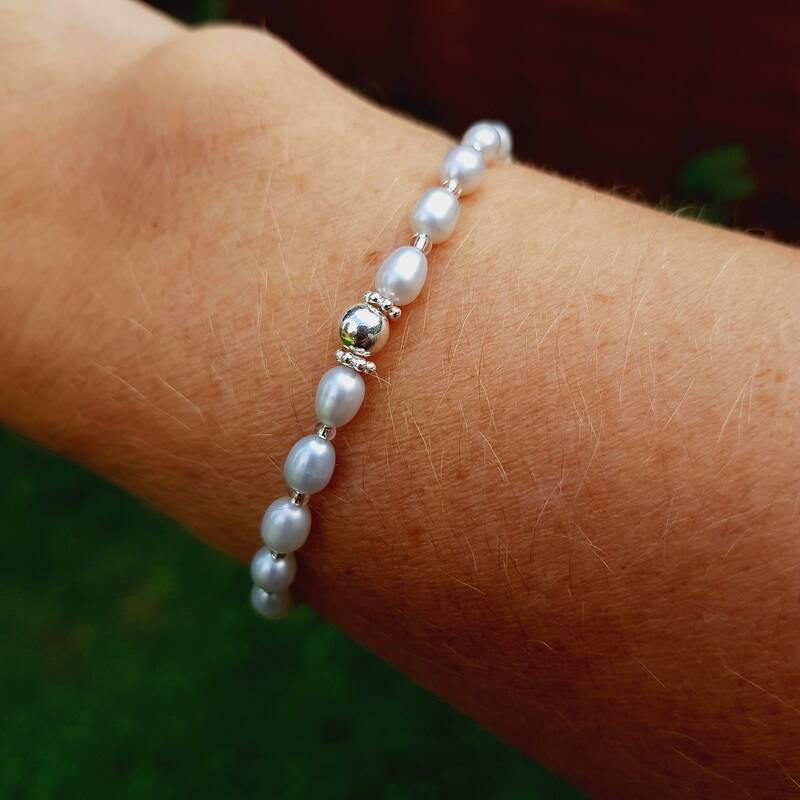 Please note only the 7" bracelet can be returned, as the other lengths are made especially for you. 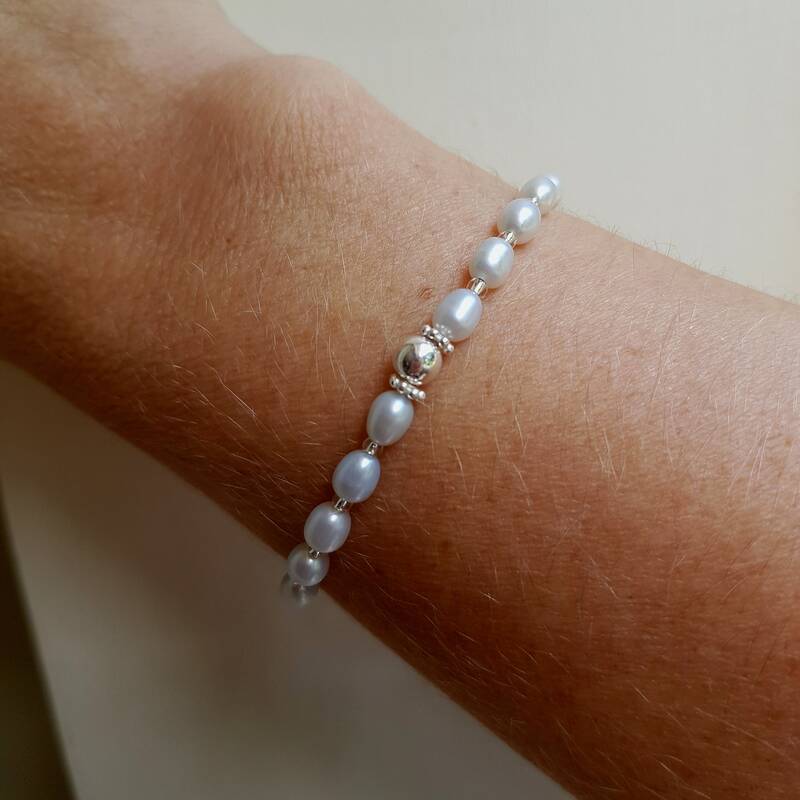 Comes in a pretty gift pouch as standard, but this can be upgraded to a pretty gift box at checkout also! 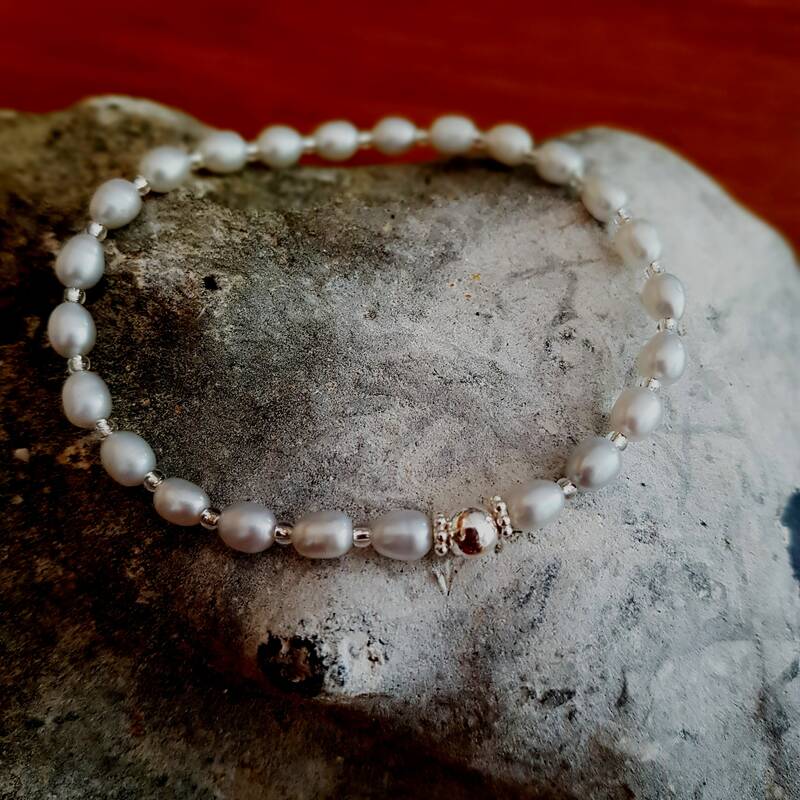 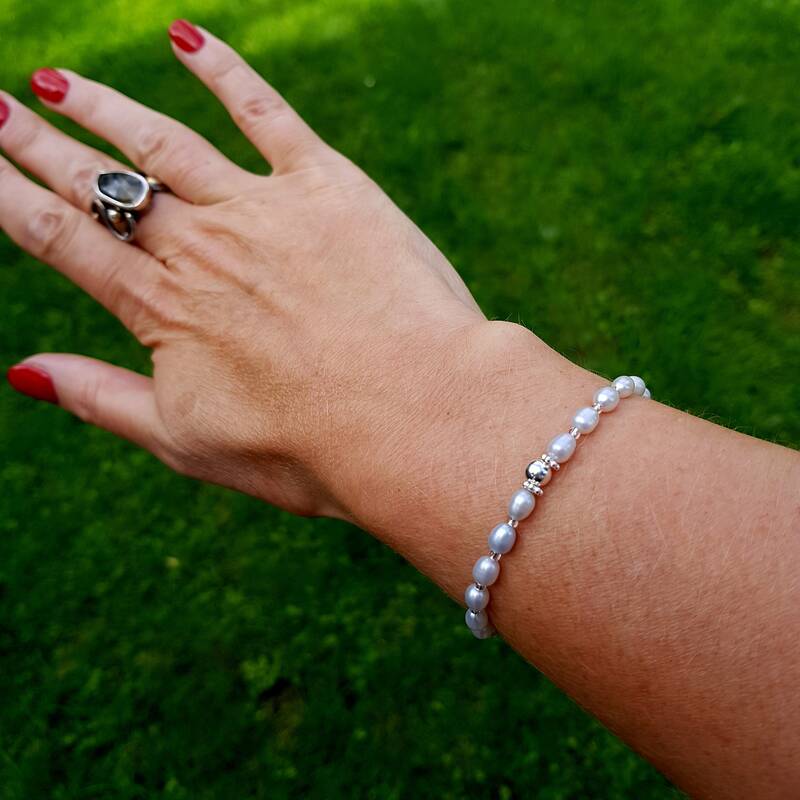 Perfect to wear on its own for a minimalist dainty look or for stacking up with my other pearl, gemstone and Swarovski stretch bracelets. 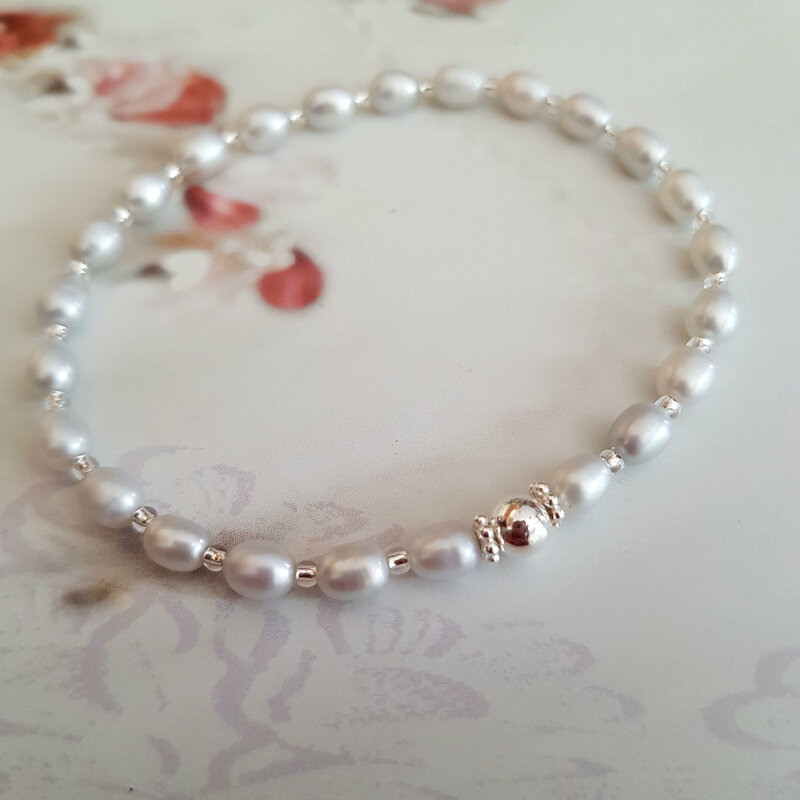 Thank you for visiting my shop and hope to see you back again soon, as I am always adding new things.